Whoever will not receive you or listen to your words – go outside that house or town and shake the dust from your feet. It was John P. Devine’s campaign that has alleged all the accusations, and now it seems that the Devine camp has chosen to attack the Conservatives in Action. Apparently the campaign did not like what I found and is slinging mud. I am not running for office. I write about what I believe is the truth and take my unpaid volunteer work seriously. Again let me repeat myself, politics is a blood sport. If a candidate is not prepared for a ‘full body cavity’ search, give it up! Obviously the candidates of today are fearless with opponents’ lives. It is winning at all costs. The following is ‘crap’ unearthed researching the Supreme Court, Place 4 race. It has not been pleasant finding out that someone of the caliber of Trial Attorney John P. Devine wants to sit as a Justice of the Supreme Court in Texas. Remember we deserve the officials we vote in office. I am not going to embarrass Donna Garner further by printing her outrageous allegations, but I am going to use excerpts from her email. Her title did make me smile a little as it leads with a misstatement. This is the Truth. John Devine is NOT a judge, he is a former judge that resigned before his term was complete. It is Devine who is challenging Justice David Medina. 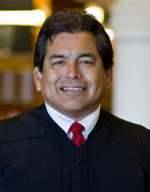 It is Justice Medina who is presently sitting on the Texas Supreme Court, Place 4. This is trivial, but nonetheless, using Judge when Devine is not a judge is misleading to the voters. How does any person know with certainty what happened unless you were there. Testimonies on the ‘tampering with evidence’ and ‘supposedly drunk driving’ case have already been weighed in the court system in Houston, Texas. Judge Medina pleaded to Improper Lane Change and paid a fine. The allegation of ‘tampering with evidence’ was thrown out and never prosecuted, it never went to court. I do not profess to be judge and jury but all allegations, pictures, and hearsay, are just plain moot! All of Donna Garner’s research is for naught as the cases are closed! What she is passing along is a ‘gossip’ piece damaging a Supreme Court Justice’s reputation. I hate to burst Donna Garner’s balloon, but she is NOT the judge or the jury either. Even though the grand jury had returned guilty indictments against both the Medinas, the DA's office managed to get the judge to void the grand jury's vote. To keep the grand jury members from telling their side, the prosecutor placed an injunction over them that gagged them from talking under threat of jail time. The following email was sent to undisclosed recipients from Margaret Hotze, but there is another very interesting person on this particular email thread, his name is John Devine. This is unbecoming of someone who aspires to be an impartial Texas Supreme Court Justice. The following are FACTS and not ‘gossip’, not sensationalism by the news media in order to sell newspapers. Makes me really wonder about our society, is our Rule of Law not sufficient? If you want to make changes to the laws that Texas has, then the changes should be made during the Legislative Session. How many of you know that the attorneys and Judges have to follow the laws that are implemented by our Texas Legislature, our Texas Constitution and the US Constitution? IF you don’t like our Texas laws, then get involved. Stop whining, stop gossiping. This reminds me of the ‘killers’ in prison who cry, ‘I did not do it, I’m innocent’! Maybe some are not guilty, but until our court system says they are innocent they are guilty as charged. So if our court system says, NOT GUILTY, then the person is NOT GUILTY. IF Devine does not understand this very simple concept and IF he is elected to be an impartial justice, Texas is in a heap of trouble. Judge David Medina was never indicted for arson of his own home. He was cleared from the ‘evidence tempering’ charge. He was never prosecuted and the case never went to trial because there was no evidence, meaning that the investigators could not find any evidence of ‘arson’. Justice Medina denied the charge of ‘drunk driving’ and exercised his constitutional right to a jury trial. He told me that a video showed that he was not drunk and that he had made an improper lane change. His statement,"It's obviously an incident that I regret" was taken totally out of context in the full page double sided ad distributed by Texas for Truth in Politics at the Texas state convention as the entire comment was not used.. Justice Medina pleaded guilty to an Improper Lane Change paid his fine and the original charge was dismissed. How many of you believe that Texas Attorney General Gregg Abbott would endorse Justice David Medina if he were an arsonist or convicted for drunk driving? In actuality this is what Justice David Medina said according to the Houston Chronicle article by Thom Marshall dated November 9th, 2004. "It's obviously an incident that I regret, but on the same hand, something that I believe that I certainly wasn't guilty of the charge, and I chose to exercise my constitutional right and have a jury trial," Medina said. "I had that jury trial, and the jury hung in my favor." This is taken from video by Texas for Truth in Politics accusing Judge Medina of being a corrupt politician. Notice that the Court Offense is Failure to Drive in Single Mar. The 2012 Texas State Bar Association results for the annual judicial poll is revealed below and just look where Justice David Medina stands as opposed to Devine. Devine is at the very, very bottom, voted last among his peers. Justice Medina has been endorsed by Right to Life and by Alliance for Life for both the Primary and the Run Off Elections while Devine is not. So here we have Devine promoting himself as a ‘Christian’ and there is nothing remotely Christian about his actions. Two separate news accounts relate that John Devine was reprimanded by the Texas Commission on Judicial Conduct for conducting political campaigning for a congressional seat from his judicial chambers. The Texas Tribune, Questions of Qualifications, Ethics in Texas Court Race by Morgan Smith July 13, 2012 and the Houston Press, Judicial Arts Endowment by Tim Fleck October 22, 1998. The Houston Press article goes so far as to say that not only was Devine publicly reprimanded by the Texas Commission on Judicial Conduct but, “A court source says the commission recently slapped Devine on the wrists with a private reprimand for using his judicial e-mail to invite other judges to a campaign fundraiser.”It seems that Devine does have a pattern of using his email to do mischief. Perennial candidate Devine resigned from his elected 190th District Judge bench in 2002 to run for Harris County Attorney and lost. He ran in 2004 for the Tenth Congressional district and lost. He ran in 2006 for Texas State House District 126 and lost. He ran for Judge 221st State District Court in Montgomery County and lost. Now he is running for Texas Supreme Court Justice Place 4 against incumbent Justice David Medina. 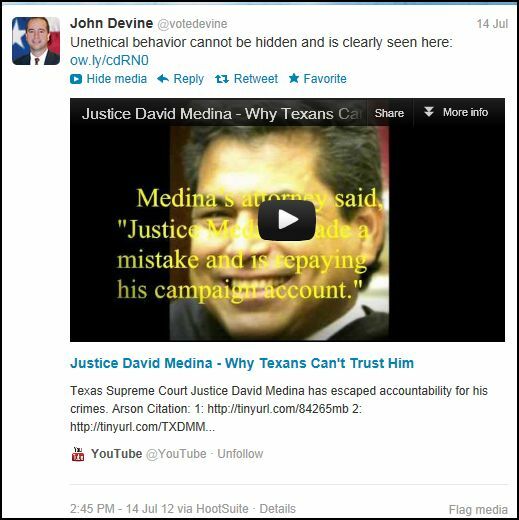 I am sure that perennial candidate Devine did his homework and felt that he could exploit Justice Medina’s misfortune. Let’s use some common sense again. Why would a District Judge walk off his 190th District Court bench to run for a lesser position? I have it from a very reliable source that Devine walked away from his bench in mid term saying he didn’t know what he wanted to do. Even IF he gave Governor Rick Perry two week’s notice of his resignation, he still left his voters high and dry. This alone should wave a RED FLAG that he can not be trusted to stay on the ‘job’ even IF he is elected. Also, why does Devine switch back and forth from judicial to congressman to state representative? IF he were a serious judicial contender, wouldn’t all his races be for judicial benches? Maybe he really doesn’t know what he wants. On April 5, 2012 John P. Devine became friends with Briscoe Cain on Facebook. On June 7 – 9, 2012 the full page double sided ad is distributed to thousands of Texas state convention delegates with misleading information on Justice David Medina. The card is not an approved political piece of literature but rather an ‘outlaw’ card. 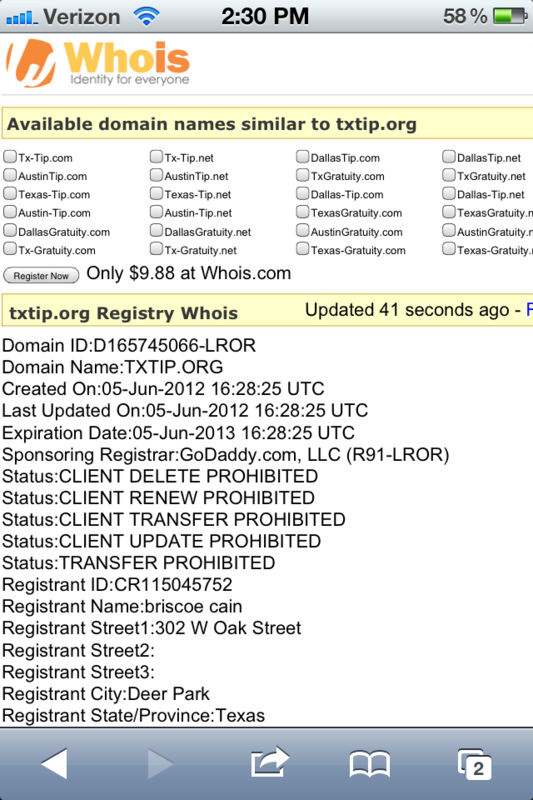 It does not have the required wording ‘Pol Adv Paid for by John Devine Campaign, Nubia Devine, Treas. In compliance with the Judicial Campaign Fairness Act’ On June 11, 2012 John Devine tweets that @Briscoecain is his volunteer coordinator. 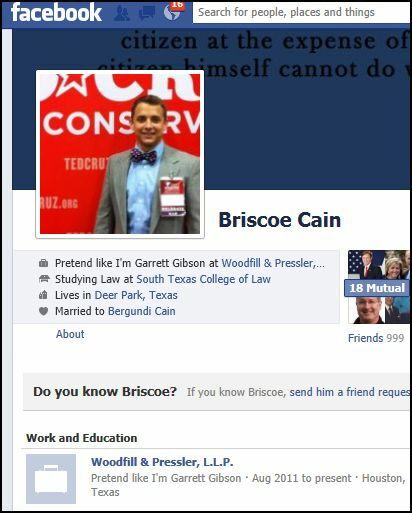 By the way, Briscoe Cain is employed by Woodfill & Pressler, Devine’s former boss and present endorser. Politics just keep getting nastier and nastier, and it’s not only the flaming Liberals, it’s the RIGHTEOUS CONSERVATIVE REPUBLICAN…John P. Devine. Evidently various people keep trying to get Judge Devine to give an opinion on tort reform law; but as a judge, he must not express his views on that issue one way or another because he would then be accused of making prejudicial decisions in his courtroom. Keep in mind Devine is NOT a judge but a wannabe Justice. Did you know thatDevine has been arrested for his stance as a Pro Life activist? Granted this is very admirable for a private citizen, but as a judge, shouldn’t he have the appearance of impartiality? Didn’t Donna Garner emphasize that, “he must not express his views on that issue (tort reform) one way or another because he would then be accused of making prejudicial decisions in his courtroom.” I agree with Donna, judges must not be activists from the bench. Could it be that not wanting tort reform is a clue that Devine is tied in very close to the Democrat Trial Lawyers? Excerpt from Donna Garner’s article: Bottom line: The Devine’s did not have their house foreclosed on “because they needed a job” as charged by Sam Harless. Sam Harless is not the only one that says Devine needs and is looking for a job. Listen to the interview by Bob Price from Texas GOP Vote interviewing Judge Scott Link. Bob Price: Now you mentioned that he said he was running because he needed a job; that doesn't to me look like someone that is looking to be of public service. They're just looking out for their own self interests. Is that the impression you got? As far as I know, the property at 28343 Post Oak Run, Magnolia, Texas is set for auction on July 24th. Whether Devine needs a job or not this house is going on the auction block for payment failure. You can google ‘John P. Devine foreclosure’ and a list of homes will appear. Email from Ohara Realty in Houston on the property at 28343 Post Oak Run, Magnolia, Texas formerly occupied by the John P. Devine family. Yes this is a foreclosure set to auction on July 24th. We can submit an offer for you if you are interested. If you would like to schedule a viewing, please let us know. On Devine’s credit card debt: This is taken directly from the document and it appears that there is no identity theft mentioned as Donna Garner alleges. Read the legal document for yourself. More research – The court records show that the American Express case came back from the Court of Appeals with John Devine winning on one of the two points of contention. This case relates back to the I. D. theft previously explained. Amex filed suit against Devine for breach of a credit card agreement. Amex alleged that under the terms of the agreement it made cash advances to Devine, either as actual cash or in payment for purchases made by Devine from third parties, and that Devine failed to repay the advances in accordance with the agreement. Amex alleged Devine owed a balance of $21,949.37 and that Devine failed and refused to pay the balance owed. We sever the issue of attorney’s fees from the judgment, reverse the award of attorney’s fees, and remand for further proceedings on attorney’s fees. We affirm the remainder of the trial court’s judgment. See id. at 602. AFFIRMED IN PART; REVERSED AND REMANDEDIN PART. In summary, it would be foolish to replace Justice David Medina. He has overcome his past circumstances and has proven himself to be a stellar jurist. On the other hand John Devine is presently experiencing financial difficulties, foreclosure and credit card debt, resigned from an elected district bench with short notice, has been reprimanded by the Texas Commission on Judicial Conduct, arrested for trespassing, activism on Pro Life, leaving doubts as to his ability to be an impartial judge, inappropriate behavior for forwarding information on Judge Medina’s grand jury, connected to Texas Truth in Politics an organization actively promoting misleading exaggerations about Justice Medina. Texas Truth in Politics is a front for the vicious allegations that Devine is passing off as truth. Bottom-line: Why would we Texans even think about electing David Medina to the highest court in Texas when he has the kind of criminal and ethics record that would keep any average person from even being considered for office? I do believe that Donna Garner is correct. Why would Texans even think about electing John P. Devine to the highest court in Texas when he has the kind of ‘criminal’ and ethics record that would keep any average person from even being considered for office? John P. Devine is the wannabe with an arrest record. When you have no qualifications other than joining ‘boards’, accusations are all you have to peddle! In the future, we all have to be very careful and cautious when we are voting for judicial candidates. This Supreme Court race has further opened my eyes to the vulnerability of our electorate, including myself! Therefore for the November election, I will highlight some of the judicial races. Related Content: Foreclosure, Reprimanded For Judicial Misconduct, Credit Card Debt, Sinfully Lied About 2006 Opponent, Injury Trial Lawyer, Abruptly Resigns From Bench, This Is John P. Devine And Much Much More!